At some point in the early 2010s, the NBA morphed from a prestige drama to trashy reality television. The league went from a tapestry of rich characters to a spring break party filled with unhappy superstars, social media trolls, and broken friendships. (Basically, sportswriters obsessed with The Bachelor need to look no further than the NBA.) Of course, in a league full of messiness, a chosen few stand out amongst the crowd. That’s who we’re here to discuss today. 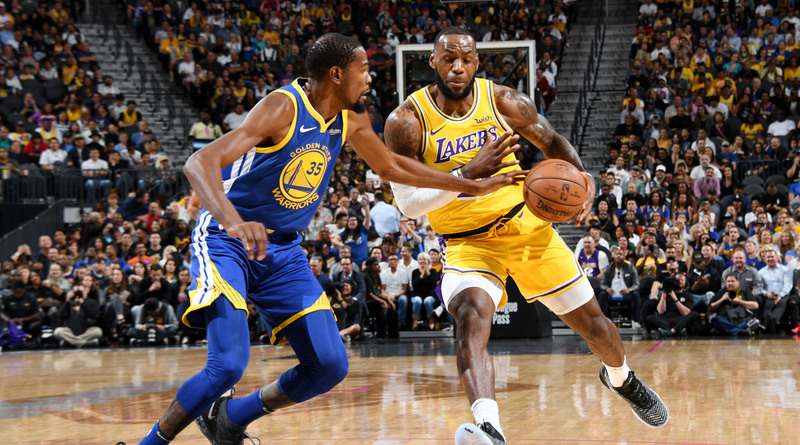 Which NBA star brought the most drama in 2019? Let’s run through some candidates. Highlights: Posted a photo of his Lakers’ signing that was basically a headphones commercial. Said he had nothing to prove to Lakers fans. Announced countless entertainment projects among speculation he didn’t choose Los Angeles for basketball reasons. Allegedly recorded an album with 2 Chainz one night before missing a game against the Warriors. (LeBron says it was a different night.) Often wouldn’t sit near his teammates on the bench. Openly pined for Anthony Davis. Tried to engineer a trade for Anthony Davis. Alienated his teammates in the process of trying to trade for Anthony Davis. Showed up to a game with a glass of red wine. Reaction: LeBron was really on one this year. His 27-8-8 statline doesn’t do his season justice. This is a man who continuously posted Instagrams of his personal achievements as the Lakers circled the drain, keeping James out of the playoffs for the first time since his second year in the league. LeBron’s lack of on-court success drew even more attention to his extracurriculars, and the results were unflattering. It’s objectively not a good look when you can’t recruit stars to your basketball team OR your Space Jam sequel, especially when other players in the league appear to be passing you by. My hope is that all of the noise around LeBron propels him to a classic F-you season next year, but he’s got to get a lid on all that noise first. Highlights: Ripped media for incessantly covering his upcoming free agency despite not giving any indications that he wants to return to what is easily the best team in the league. Called out a reporter (Ethan Strauss) by name for a well-sourced story about his upcoming free agency. Is widely believed to be joining the Knicks. Yelled at Draymond for not passing him the ball that one time in a November regular season game. Very active in the Instagram comments section. Reaction: Kevin Durant is his own worst enemy. He Streisand Effects his own problems, and then lashes out when they get covered. How should he have handled the Kristaps Porzingis trade? With an extremely boilerplate answer the first time he was asked about it. Instead, he took a vow of media silence, fostered speculation, and did nothing to quell rumors (that realistically originate from people around him!) that he’s bolting this summer. Durant doesn’t need to care what I’m writing here. And I actually think it’s cool he wants to find fulfillment from stuff other than basketball. But damn, he often seems preemptively angry when he seems to be in more control of the situation than he realizes. It’s going to be really hilarious to read back some of his comments this year if he really does sign with the Knicks. Highlights: Seemed to acknowledge he shouldn’t have said the Earth is flat, though it’s unclear what he really believes. Often taking issue with the young players on his team. Called LeBron to apologize for how he acted in Cleveland, and now appears to be employing LeBron’s grating leadership style that partially caused him to leave Cleveland. Unpromptedly said he was re-signing with the Celtics. Months later, when asked about free agency, he said, “Ask me July 1.” Said he hates the spotlight; starred in a movie based off a Pepsi commercial last summer. Reaction: Kyrie is really just an agent of chaos, or in more simple terms, a stuff-stirrer. The key to understanding this man is to not fully believe anything he says. I won’t even assume there’s an agenda behind his public comments other than to confuse the rest of us. He’s the biggest wild card this summer, and there’s no decision Irving can make that would surprise me. Maybe he signs a five-year deal with Boston. Maybe he signs a one-plus-one with the Lakers. Or maybe he moves to France and opens a patisserie. When it comes to Kyrie, you can only believe what you see. Everything else is smoke and mirrors. Highlights: His coach is f---ing tired of him. Told Kevin Durant the team didn’t need him and he should leave this summer. Potentially subbed the heck out of Durant during a podcast appearance. Looked like he was shooting threes while wearing a backpack for the first three-fourths of the season. Reaction: Draymond is hard to pin down. On one hand, between his Durant comment and complicated relationship with Steve Kerr, he has his hands in a lot of pots. On the other, this man owns his drama, and seems to be quite proud of being in everyone’s face. I can respect that. Draymond Green has no time for the shadows. This is someone who has absolutely zero qualms about embarrassing someone during their quasi-retirement tour. Considering he wasn’t slapping people in the privates or, uh, revealing his own, this season was actually light work for Dray. Highlights: Tried to force his way to the Lakers. Eventually said he would accept a trade to 29 other teams. Forced the Pelicans to play him even after he said he would rather play for any team in the league. Reaction: AD got his first taste of the messy lifestyle this season. He was widely loved before his trade request, putting up great numbers without much scrutiny in New Orleans. His trade request isn’t the biggest deal in the world, and it doesn’t signal some apocalyptic future in which players are signing contracts one day and lighting them on fire the next. But the blatant Lakers play had to be uncomfortable for all the other players involved on both rosters, whose futures were essentially being decided by Davis’s. AD also tried to be a little too “aw, shucks” after it was obvious what Rich Paul was doing, supposedly at his behest. (Though it’s a little unclear what Davis actually wants.) At least Davis’s drama was all about basketball. Highlights: Good, old-fashioned Instagram trolling. Reaction: Embiid isn’t really messy as much as he is committed to his persona. Embiid is like Enes Kanter, if Kanter could play defense or actually be funny. This is tricky. Draymond is out because this is a down year for him, and JoJo has also been relatively quiet. I don’t want to pick Durant because he’s still playing MVP-level ball for the best team in the league. 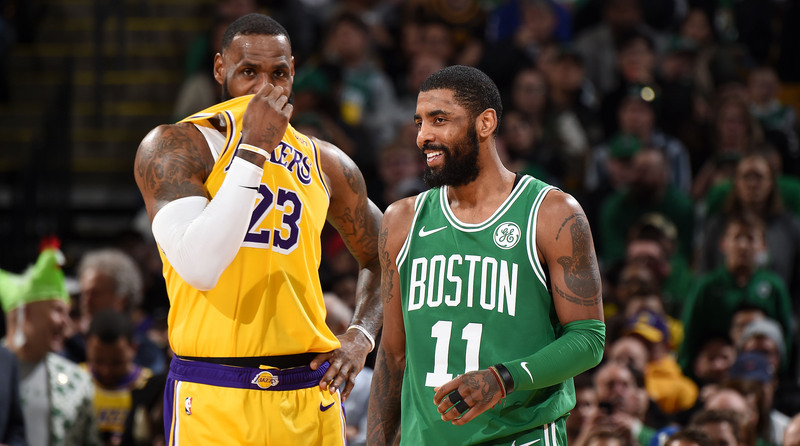 Realistically, this is a two-horse race between LeBron and Kyrie...and because of the objective failure of this Lakers season, King James has to be our winner. I am pro-LeBron and take no pleasure in reporting this. But one day perhaps even James will look back and realize he was possibly a bit too extra this season. The combination of his inconsistent defense, below-.500 team, public displays of distance, ever-so-slightly tone-deaf Instagram posts, and numerous Hollywood excursions paint a picture of a person far different than the one who only a year ago broke his hand in anger over a Finals loss. Hopefully next season, a healthy LeBron is able to bring the focus fully back on his absurd talent on the court.